One of JJ’s favorite hobbies is roller skating, and she enjoys using her roller skates to explore her favorite places in Tulsa, like Riverside and the Gathering Place. She is even a member of a local roller derby league. She also enjoys doing yoga to relax. Martin studied at Heritage College in Oklahoma City and has been a licensed massage therapist for three years. She specializes in deep tissue and sports massage. She loves both of these techniques because they help clients feel better and they make a big impact on their daily lives. Deep tissue massage is a very focused, intense form of massage that targets places of chronic tension and other problems. It is great for clients who experience chronic pain. Sports massage is designed specifically for athletes and can help get you ready for a big event or help you release soreness and tension after one is over. She also enjoys the relaxing atmosphere and techniques of prenatal massage. Her prenatal massage technique is very rhythmic and relaxing. She also enjoys the soothing setting of prenatal massage. This modality targets many of the uncomfortable physical changes that occur during pregnancy and helps pregnant women to feel much better. 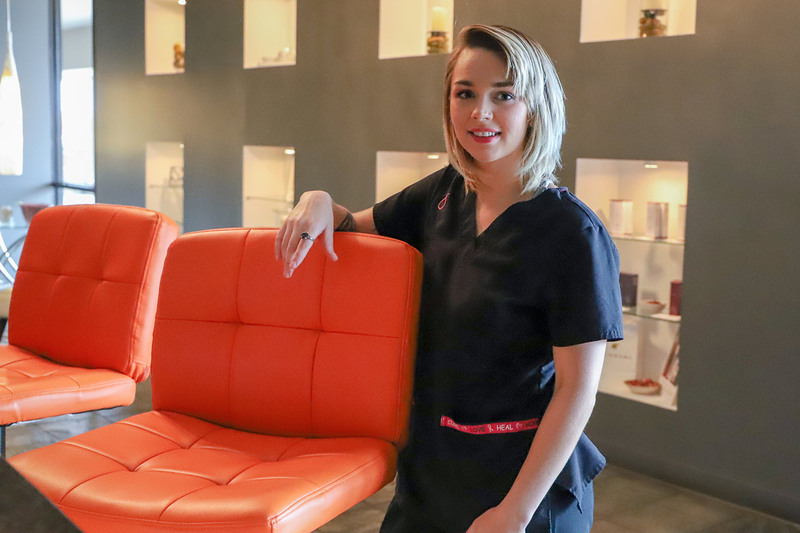 JJ also recommends that clients take advantage of the wide variety of other spa services that SPA LUX offers, such as skincare treatments, eyebrow waxing and tinting, and dermaplaning. Dermaplaning is a new facial exfoliating treatment that removes dead skin cells as well as peach fuzz much more effectively. Tinting is another unique service that helps clients get the eyebrow color they want. These services can always be added during a massage visit at SPA LUX. It saves time and helps taking care of all client needs. SPA LUX provides a complete, full body pampering experience, and we offer packages where clients can experience many of our most popular services in one session. JJ suggests that her clients come at least 30 minutes early to their session to have a cup of tea and get into a relaxed mood. She also recommends clients take advantage of our white marble steam rooms and Cedar saunas to really make their massage a satisfying experience.